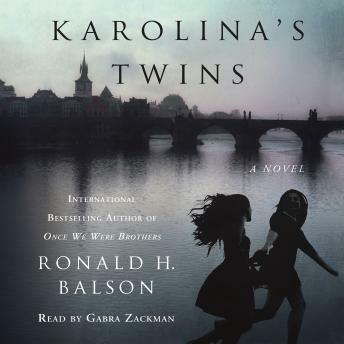 In the tradition of The Nightingale, Sarah's Key, and Lilac Girls, comes a saga inspired by true events of a Holocaust survivor's quest to return to Poland and fulfill a promise, from Ronald H. Balson, author of the international bestseller Once We Were Brothers. Driven to renew the quest that still keeps her awake at night, Lena enlists the help of lawyer Catherine Lockhart and private investigator Liam Taggart. Behind Lena's stoic facade are memories that will no longer be contained. She begins to recount a tale, harkening back to her harrowing past in Nazi-occupied Poland, of the bond she shared with her childhood friend Karolina. Karolina was vivacious and beautiful, athletic and charismatic, and Lena has cherished the memory of their friendship her whole life. But there is something about the story that is unfinished, questions that must be answered about what is true and what is not, and what Lena is willing to risk to uncover the past. Has the real story been hidden these many years? And if so, why?